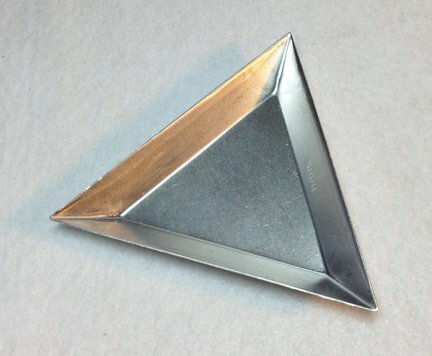 Small triangular metal trays are ideal to hold crystals in while working on your project. When you are finished, just pour left over crystals back into bag. Triangular shape makes it easy.